Modern people are getting increasingly aware of the health benefits of maintaining proper weight and getting in shape. There is a growing demand for fast and easy assessment of individual fitness level. Body fat measurement is now considered an important factor in assessing nutritional status and level of general fitness. It is much more meaningful than weight alone, since the height-weight charts do not take body composition into account. For example, many professional athletes are virtually solid muscle, yet are classified as obese by the weight-height charts. Conversely, a person who satisfies the chart criteria can be overfat and in poor condition. Research indicates that fat loss, not weight loss, can extend human longevity. Note: Vitalio computations are designed for people of low to normal or average fitness. Athletes require special formulas that are not available for this device. 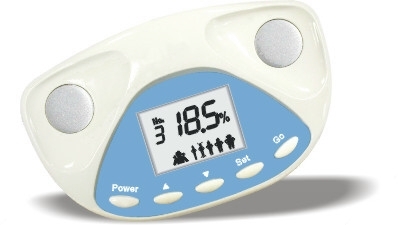 Vitalio is intended for non-medical body fat monitoring.